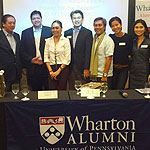 Wharton-Penn is an SEC-registered, SGV-audited entity which aims to provide a venue for members to meet and nurture relationships, continue learning, help out prospective and current students, advise recent graduates and serve the community. 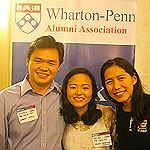 Membership in the Wharton Penn Alumni Association Inc. is open to all alumni of the Penn and Wharton community including faculty, certificate holders and graduates of Executive Education Programs of any of the schools above. 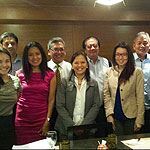 Our annual dues function as "donations" to the club so that the club can conduct its business. It is through the generosity of our alumni donors that the club is able to function from year to year. The most engaged alumni in the world! Throughout the year, Wharton-Penn organizes signature events that are tailored toward accomplishing our mission and vision.